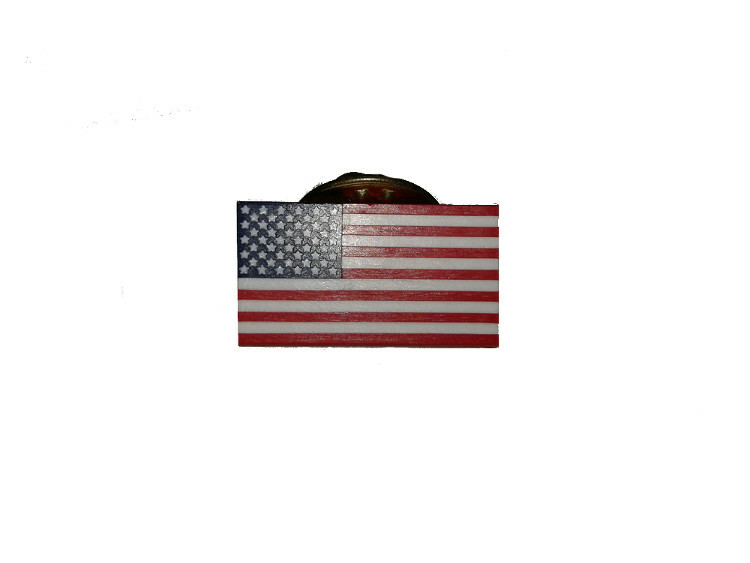 U.S Mfg. 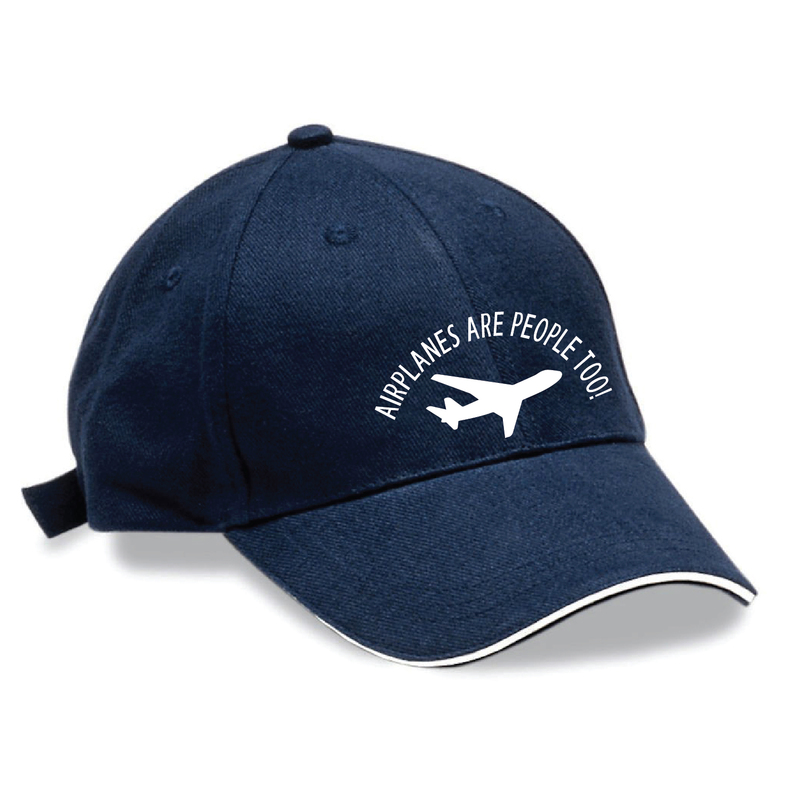 & Design Inc.
Navy Cap- AIRPLANES ARE PEOPLE TOO! Navy low profile, six panel structured sandwich visor cap with the AIRPLANES ARE PEOPLE TOO! logo. Lightweight brushed cotton twill. Contrasting sandwich visor. Fabric strap with two piece hook & loop. Royal Tote Bag- AIRPLANES ARE PEOPLE TOO! This royal blue and black classic, go-anywhere tote is perfect for the beach, market and beyond. 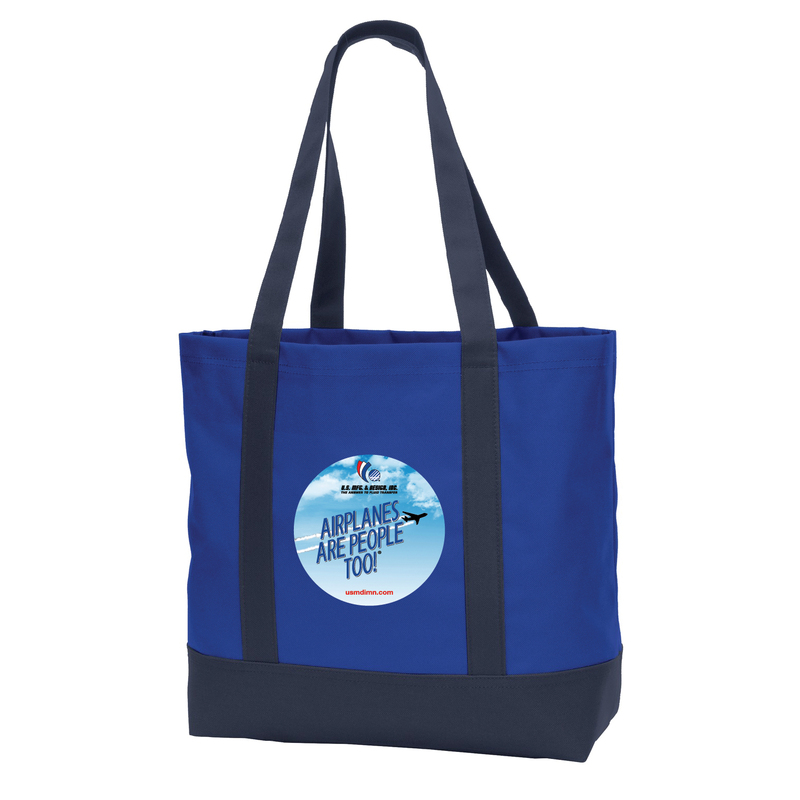 Made of polyester canvas and self-fabric handles with the AIRPLANES ARE PEOPLE TOO! logo. 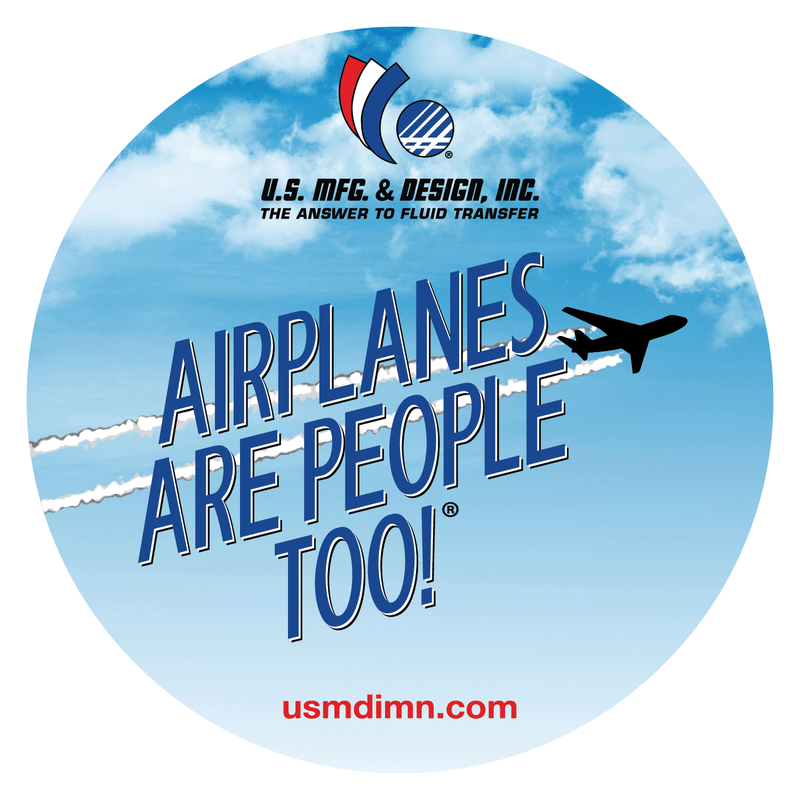 Sticker - AIRPLANES ARE PEOPLE TOO! Navy Cap - HELICOPTERS ARE PEOPLE TOO! Navy low profile, six panel structured sandwich visor cap with the HELICOPTERS ARE PEOPLE TOO! logo. Lightweight brushed cotton twill. Contrasting sandwich visor. Fabric strap with two piece hook & loop. Royal Tote Bag- HELICOPTERS ARE PEOPLE TOO! This royal blue and black classic, go-anywhere tote is perfect for the beach, market and beyond. Made of polyester canvas and self-fabric handles with the HELICOPTERS ARE PEOPLE TOO! logo. 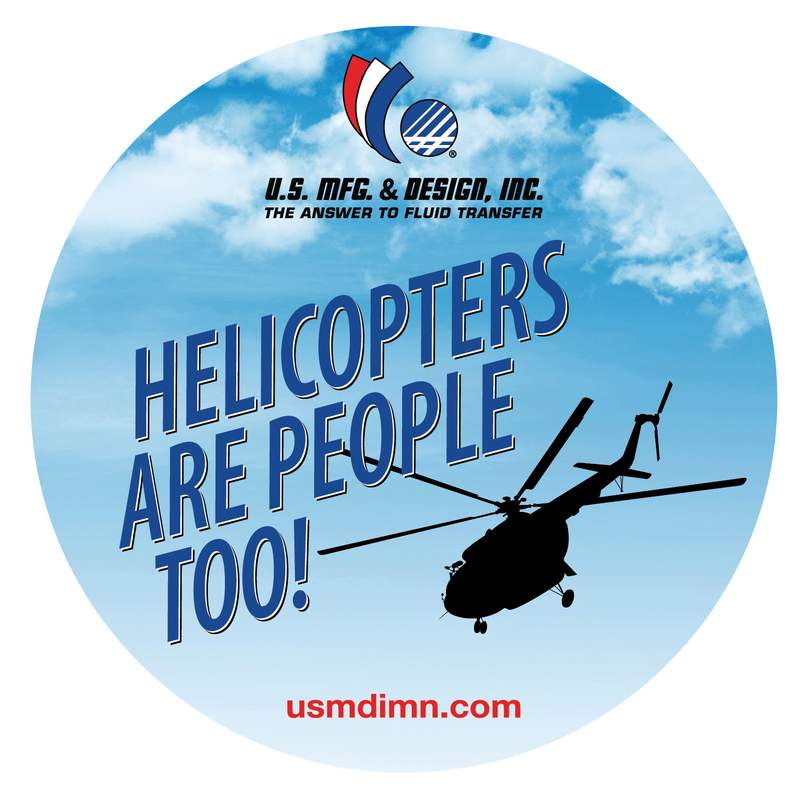 Sticker - HELICOPTERS ARE PEOPLE TOO!